Susan Heim on Parenting: Family Travel Essentials Giveaway: Enter to Win Lots of Travel-Friendly Prizes! 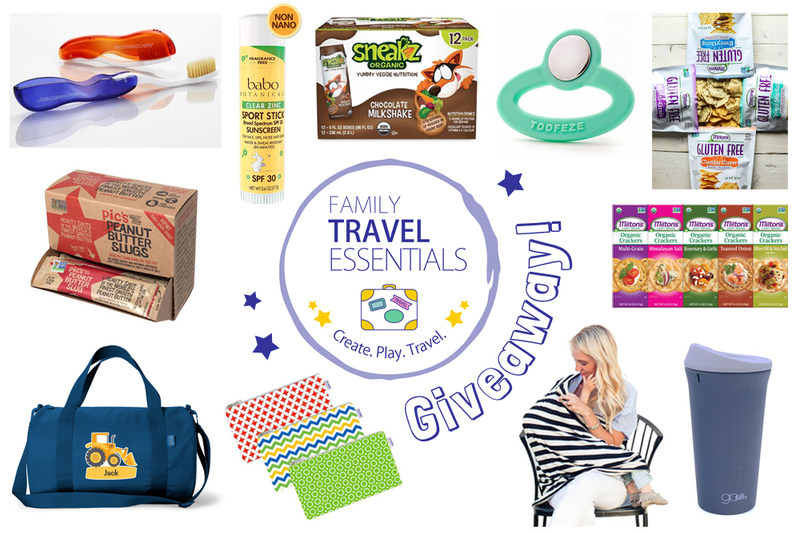 Family Travel Essentials Giveaway: Enter to Win Lots of Travel-Friendly Prizes! Family travel isn't always easy with children, but it is a great way to make memories and encourage kids to have a love for adventure. To make family trips successful, it's important to know what to bring. Preparation is key! These family travel essentials are helpful for problem-solving, keeping kids happy and fed, and entertaining kids on the road. We are excited to offer you the chance to WIN all these great family travel essentials! This family travel gift collection has something for everyone! GoSili Silicone Coffee an Tea To-Go Cup. Also available at Target stores. This giveaway is coordinated by Create. Play. Travel. and is open to US entries ages 18 and older. No purchase required to enter. One (1) winner will be randomly chosen and contacted through e-mail, and their name displayed on the giveaway widget after the giveaway ends on September 26th, 2018. Create. Play. Travel. and the participating blogs are not responsible for fulfilling brand-sponsored prizes. Prizes will be shipped directly from each brand. I plan ahead with snacks, activities and letting my daughter know what to expect. We had a very successful trip to Europe this summer as a result. We have only THIS lifetime.